Bobby Foster for OceanX/Bloomberg PhilanthropiesThe Orpheus drone was launched into the waters of the Atlantic Ocean near Cape Cod in September. 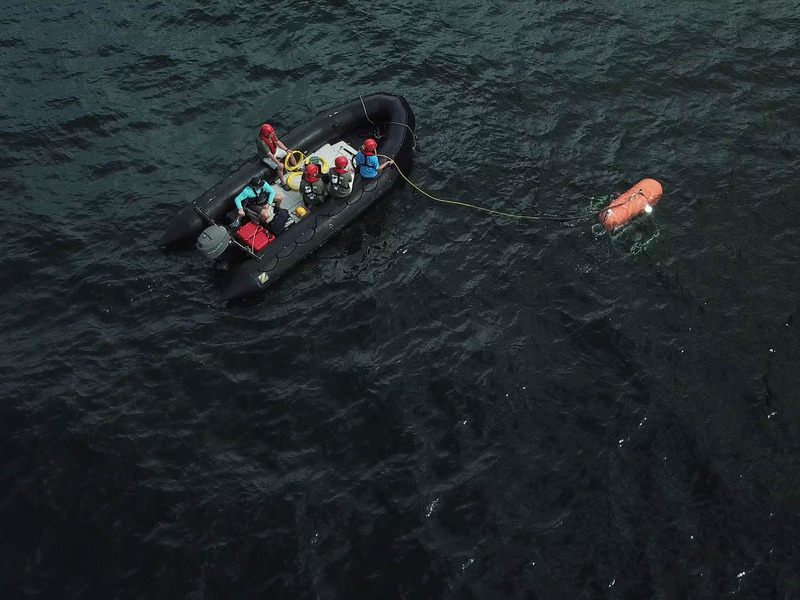 The drone, which is about the size of a large backyard barbecue grill, will be used to explore the depths of the oceans like never before by snapping colour photos, mapping the sea floor, and discovering new creatures. Hundreds of astronauts have left Earth, but you can count the people who’ve visited the very bottom of the ocean on one hand:James Cameron, Jacques Piccard, and Don Walsh. 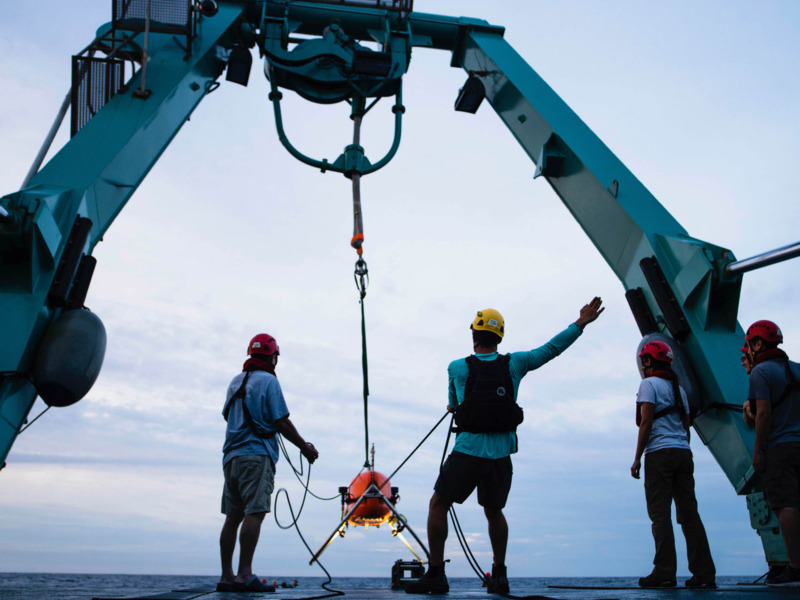 Because of that, we don’t know much about what goes on in the deepest parts of the ocean, especially in the hellishly named hadal zone that’s 6,000 to 11,000 meters (3.7-6.8 miles) under the surface. Although 45% of the world’s oceans exist in that zone, that part of the planet has been a mystery to us land dwellers. Scientists from NASA and Woods Hole Oceanographic Institution (WHOI) have teamed up on a $US1.2 million, privately funded effort to research, design, and build a new robot to explore the hadal zone. The group aptly named the new drone Orpheus, after the mythic Greek hero who dove to the depths of hell and serenaded Hades, the king of the underworld. Scientists hope that similarly, this Orpheus will one day find new bottom-dwelling sea creatures and snap photos of deep-sea life. 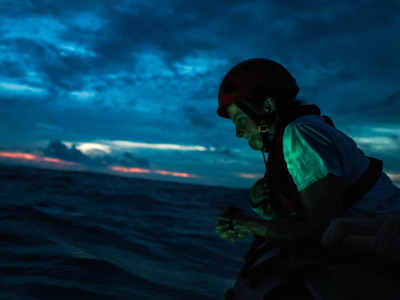 Ivan Agerton for OceanX/Bloomberg PhilanthropiesOcean engineer Molly Curran clasps her hands as she waits for Orpheus to return to the surface. Julian Race for OceanX/Bloomberg PhilanthropiesThe Orpheus drone is completely autonomous. It decides on its own when to resurface. 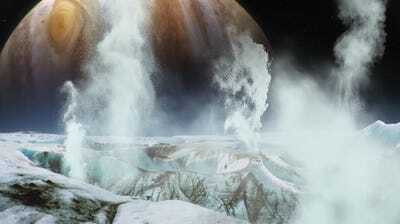 NASAAn illustration of salty ocean water spraying from the icy crust of Jupiter’s moon Europa. Many of the spots on Earth that the Orpheus team wants the drone to explore are near the planet’s subduction zones, where areas of the sea floor get pushed below continental crust and lava flows.Submarine volcanoes are far more common than eruptions on land, and sizzling underwater vents sprout up in the areas where lava churns, creating an environment where life can thrive. Scientists didn’t realise these vents even existed until 1977. Ivan Agerton for OceanX/Bloomberg PhilanthropiesOrpheus was launched from OceanX’s 56-meter-long Alucia research ship.